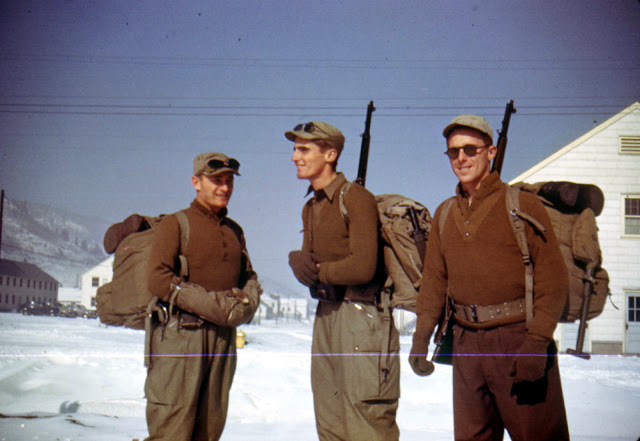 This is an original color photograph of three unidentified Tenth Mountain Division soldiers at Camp Hale, Colorado, 1943 or 1944. All have M1943 mountain rucksack and are carrying Garand rifles. I like to capture moments of World War II that aren't widely known. There has evolved a set of "common stories" about the war that define it to modern audiences. By that, I mean that certain headline events like Pearl Harbour or Operation Barbarossa or the concentration camps are what casual students of the war automatically jump to in their minds when the subject comes up. However, World War II is a story of unique, often rather odd individuals as much as battles and operations. Let's take a look at one such individual with a very odd story, a real guy who, if you were in the service or just hanging around San Diego in the last half of the 20th Century, you might have known: Dale Maple. Dale Maple was born in San Diego in 1920 to a working class family. His father worked with his hands for such employers as a railroad and a sheet metal foundry, while his mother was a nurse. He was very bright, became an accomplished pianist, and graduated first in his class of 585. That got him a scholarship to Harvard University in 1937, which was quite a feat in those days. He drifted amongst various subjects there before settling on comparative philology. He studied over a dozen languages, but specialized in German. Maple's affection for Germany, which apparently grew out of his piano studies and pen-pal correspondence with a German girl (quite common in those days), grew exponentially at Harvard. Maples became fascinated with Hitler and fascism: he dressed up as Hitler at a costume party, he kept a bust of Hitler in his dorm room, and he took to singing German political songs such as the Horst Wessel song in public (that got him kicked out of the glee club). Basically, he admired the Third Reich. 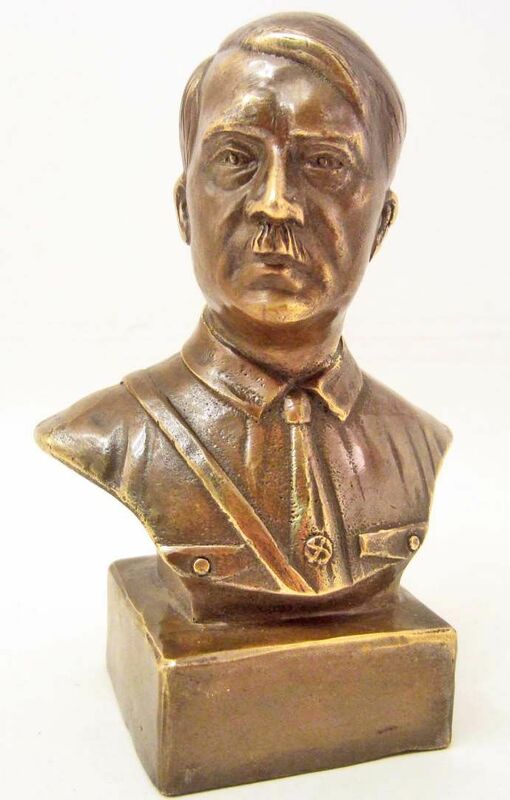 While a bit odd and creepy, especially for an ordinary American suburban kid, an obsession with Hitler was not quite as outlandish in the 1930s as it would become after the war. Regardless of his sympathies, Dale worked hard and graduated with honors. After Pearl Harbor, Maple enlisted in the US Army in February 1942 like any other patriotic American boy. The Army sent him to Fort Bragg. Trained as a radio operator, Maple requested combat duty, but the Army maintained a file on Maple, knew his sympathies, and had a special place set aside for soldiers like him: South Dakota. Maple was assigned to the 620th Engineer General Service Company there. While the Army did not publicize the fact, the 620th was a unit for known fascist sympathizers, kept in isolated locations where the men could do something productive but also be watched. Many of the men in the unit were bright and capable, some even brilliant; they just had the wrong sympathies. 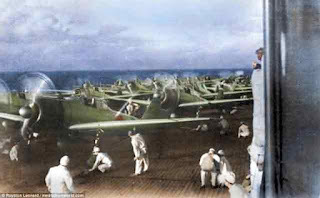 The 620th was transferred to Camp Hale on 5 December 1943. 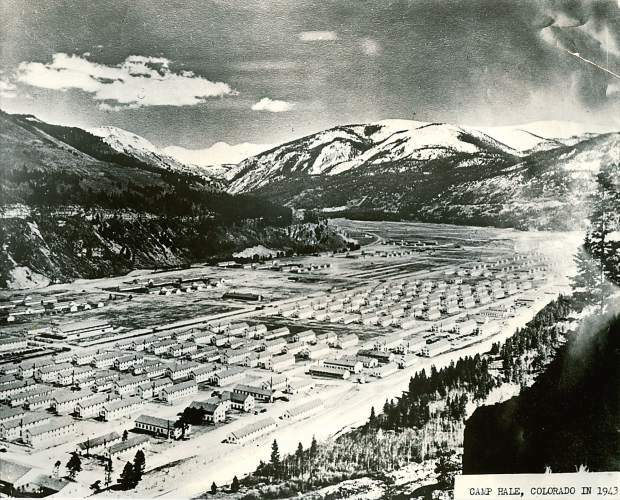 Named after a Denver native, former Brigadier General Irving Hale, Camp Hale was a brand new camp set high in the Rocky Mountains. It was located north of Leadville, Colorado in the Pando Valley, which is remote even for that general area. It occupies a large plateau at about 9,200 feet, and there are 12,000 foot elevations nearby for people who like to climb. I've been there; nothing is left of the camp now beyond a few scattered stone foundations on a huge open, grassy plateau. However, when completed in November 1942 at a cost of $31 million, Camp Hale was a cutting-edge site for training mountain soldiers. Apparently, Warner Brothers even produced a film, "The Fighting Mountaineers," with scenes shot there (I've been unable to find out anything about the film). Camp Hale also was so remote that it was ideal for isolating US Army soldiers who were known fascist sympathizers. 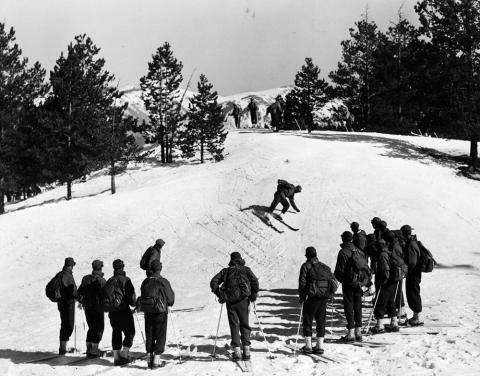 The 10th Mountain Division training at Camp Hale. The 10th Mountain Division - Bob Dole's outfit - was training at Camp Hale when Maple arrived. For some reason, there also was a small prisoner of war camp on the grounds, containing 200 soldiers of Erwin Rommel's Afrika Korps (it probably was a funding deal). Nobody guarded the POWs too closely - where would they run? The camp was in the middle of nowhere, the geography alone was prison enough. In fact, Colorado was so isolated in those days that it had 48 POW camps, with 45 of them on a par with what you would expect from a work-release program. Some of the instructors at Camp Hale also were Germans/Austrians, but they were émigrés who had fled their native lands for various reasons - such as being Jewish. The Army, in one of those weird army deals, housed the fascist sympathizer unit, the POWs, and the German/Austrian instructors all right next to each other. It was all very cozy - a bit too cozy, as it turned out. Now, most fascist sympathizers in the 620th were just watchers and fans of the "cause." They were onlookers, just as many people today will follow a political party but don't actually go out and knock on doors for their candidate. This is where the Dale Maple story, already strange, gets positively weird. It was not unusual for the fascist-sympathizer men of the 620th to become friendly with the POWs, and even on occasion to smuggle a POW off the base now and then for a tourist trip around Colorado. Dale, however, was so fascinated by the Afrika Corps men that he smuggled himself into their POW stockade (hiding under a truck) to spend some time chatting with the German soldiers. His college fascination with the culture grew even more intense, and he spent days with the POWs drinking schnapps and practicing his German. It was all very Gemütlichkeit. Ski practice at Camp Hale. While spending a couple of days living with the prisoners - who does this kind of thing? - Dale recruited some of the POWs for an escape to Mexico. Why he did this is more than a little unclear, as the Germans were usually just as happy to simply get out of the prison for a weekend here or there and then return. Even if the idea came up during a schnapps session, almost anyone would drop it once they sobered up. However, having made the connection and then returned to his normal duties, Maple followed through. He used a furlough to catch a bus south into Salida on 12 February 1944 (Leadville was off limits to the men, and Buena Vista probably wasn't big enough in those days to matter). There, Dale used $250 borrowed from his parents to purchase a 1934 Reo sedan and a bunch of other prosaic items, such as fishing gear, camping equipment and some .22-caliber bullets. He then drove back up north, stashed the car in nearby Red Cliff, and returned to camp. A few days later, on 15 February 1944, Dale made his move. He retrieved his car and met two of his POW friends, Sergeants Heinrich Kikillus and Erhard Schwichtenberg, at a prearranged spot near the camp. It being February in the Rocky Mountains, everybody knew that only a fool would try to escape on foot, so the POWs weren't guarded while out on a work detail - where would they get a car? Dale had the answer to that: he just drove up in his sedan, the two POWs got in, and off they went. Another original color picture of a Tenth Mountain Division soldier at Camp Hale, Colorado during the war. 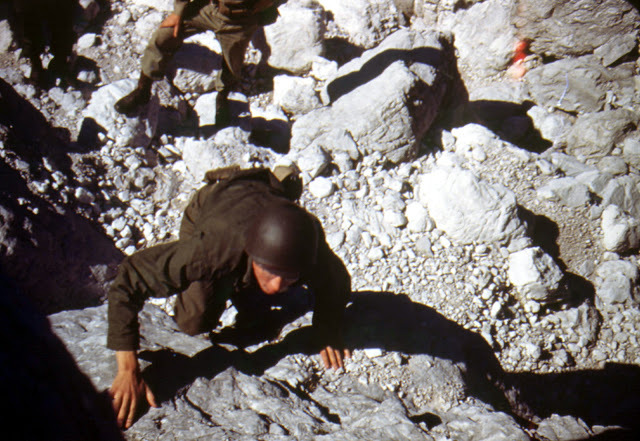 The division practiced rock climbing in preparation for the invasion of Italy. 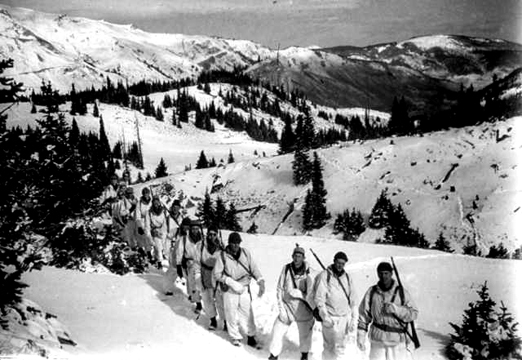 Camp Hale was active for just three years; it was deactivated in November 1945 and the 10th Mountain Division moved to Texas. The trio headed south along the highway through Albuquerque. They were just a bunch of guys - actually, one of the Germans disguised himself as a woman with a scarf, a disguise that appears to have worked. At Deming, New Mexico, 17 miles shy of the border, they got a flat tire. When checking the spare, they found that it, too, was flat. Stuck in the middle of nowhere with no wheels, they set off for the border on foot. The trio were across the border and several miles into Mexico, with a nebulous destination of Argentina, before anyone spotted them. A Mexican customs agent saw them on a restricted road on 18 February and asked what they were doing. When Maple couldn't explain why he was in a US Army uniform with two men wearing matching prison attire, the agent took them into town and handed them over to immigration officials. A check of the records uncovered the fact that the guards at Camp Hale had noticed the escape and sent an alert to the border. The were handed over to US authorities, who took them first to jail in Albuquerque. There, the two prisoners were taken and sent to another POW camp, this one in Worland, Wyoming. Maple, on the other hand, was charged with treason and shipped off to Leavenworth. Leavenworth Prison around the time of World War I (William Kantor Collected Papers, Swarthmore College Peace Collection). Roosevelt was a forgiving sort - unlike General Eisenhower in Europe, who let deserter Private Slovik face a firing squad around the same time - and commuted Maple's death sentence to life in prison. In 1946, the sentence was reduced further to ten years, and, like many convicted of war crimes in Germany at the time (some also with the death sentence, such as Joachim Peiper), Maple was out by 1951. There were only five cases of men charged with aiding the enemy in the US Army during the war, and four of them resulted from the Dale Maple incident (the Army did a thorough investigation of the camp after his capture and threw the book at people, including some nurses who were fraternizing a bit too much). Dale, who apparently could fit in anywhere, had a grand old time at Leavenworth, even joining the church choir. After his release, he returned to San Diego, went into insurance (his knowledge of languages probably helped), move to El Cajon, and lived in obscurity for fifty more years. Dale Maple passed away peacefully and uneventfully in 2001, a pillar of the community. The 620th continued in existence long after the war, though it probably wasn't used then to house fascist sympathizers - most likely. However, appropriately, the unit did get transferred to Karlsruhe, Germany. Camp Hale, meanwhile, was used sporadically in the post-war years until dismantled. There currently is a plan to use $30 million of Forest Service money to restore the entire area to a rough approximation of its natural habitat (aside, apparently, from the roads built through the area during the camp's construction that are still in use). That proposal is in public comment and review period scheduled to end during the summer of 2016, a couple of months from when I am writing this. Once again, as in so many other small ways, World War II really isn't as far away from us today as you might think from the mere passage of years. Camp Hale as it has looked in recent years. The story of Dale Maple is but one tale of millions of others during the war, and I don't expect it to grab every reader and shake them by the lapels. He was just a schlub, a guy with a fancy education and screwy obsessions. However, Dale Maple's strange tale opens a doorway into ordinary life during the war for so many that rote descriptions of battles or leaders would never reveal. POW camps, army training camps, the odd interactions between soldiers and the enemy during the war, military justice - it all comes out in a story such as this. For true students of the era, hopefully that adds a little to understanding of the times. For information on Colorado POW camps, see Allen W. Paschal, "The Enemy in Colorado: German Prisoners of War, 1943-46," The Colorado Magazine p. 119 (1979). 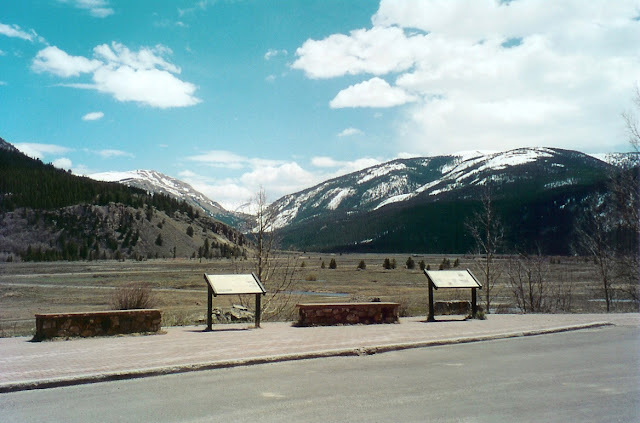 For information on Camp Hale, see "Camp Hale," Colorado Encyclopedia; for information on Dale Maple, see Allen Best, "The pro-[Fascist] soldier who aided an escape," Colorado Central Magazine, February 2004.